Adding more vehicular infrastructure doesn’t solve the problem, because it only enables further development and sprawl, which continues to add to traffic in a positive feedback loop. In other words, adding a traffic lane would actually increase traffic, rather than mitigate it. By 2040, the traffic in the Spokane area will be so bad that many roads will see over 100% of their built capacity in traffic. That means gridlock–and lots of it. Gridlock on par with South Lake Union on a Thursday afternoon. Gridlock on par with I-5 or SR-520 on a Tuesday morning. Spokane’s traffic will be as bad as Seattle’s traffic is now. Here’s the thing. Without a paradigm shift in the way we think about getting around Spokane, there will be no relief. That’s why it’s time for a bold, comprehensive plan to mitigate traffic and enhance public transportation infrastructure. 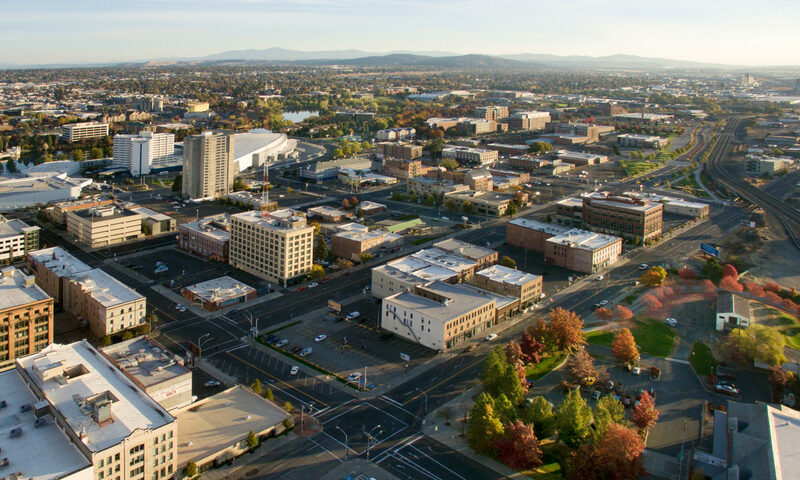 This is the only way forward if we want to preserve Spokane’s quality of life, the only way forward if we want to build neighborhoods for people instead of cars. It’s the only way forward if we want to save time, money, energy, and pollution. It’s the only way forward if want to ensure that Spokane retains its small-town atmosphere and walkable districts. So let’s make it happen. Let’s build the best public transit system in North America, anchored by a return of our former world-class streetcar system. Let’s ensure that no home in the City of Spokane is more than a seven-minute walk from a streetcar stop. Let’s invest in roads and bridges to ensure their safety for years to come. And let’s create a community built not for vehicles–but for people. This is our city, and it’s our time to make it happen. SHARE YOUR THOUGHTS: What is your vision of Spokane in 2040? Share your thoughts on Facebook, on Twitter, in the comments below, or in person. We love to hear from you.